Notes: Film about MARTIN HANNETT by Tosh Ryan. 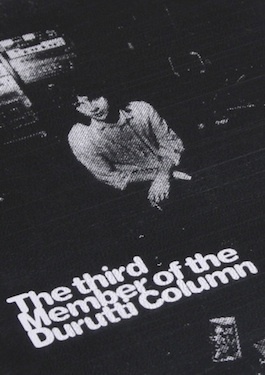 Promotional item for the FACD 224 'First Four' THE DURUTTI COLUMN (Factory Once) CD re-issues in 1996. Packaged in an over-sized "clamshell" box. Alternate title (as seen on tape label): ‘Absolute Zero’. A JPEG of the cover image was provided by the Factory Too website for "desktop" use.